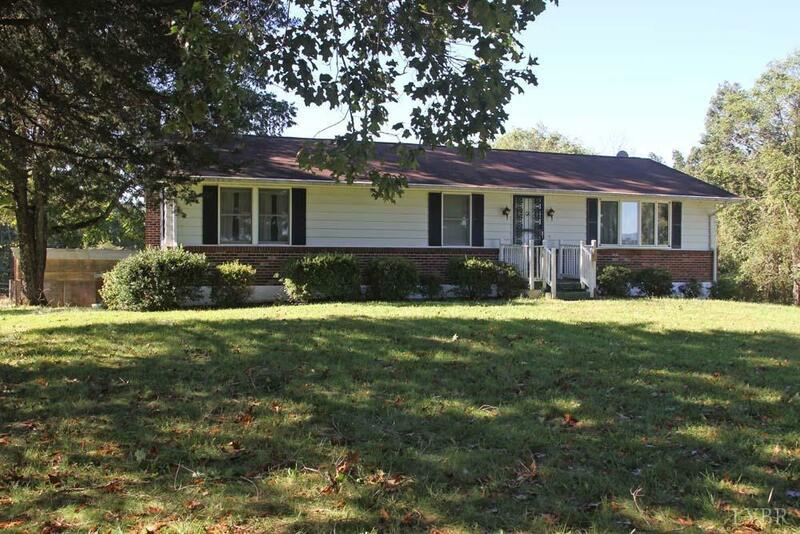 Ranch home just minutes from the town of Bedford. Very clean. Large eat in kitchen with pantry, tons of cabinets, updated stainless appliances. Formal dining is open to the large living room and both DR and kitchen have access to large covered back porch. 3/2 upstairs. Lower walk out level has third full bath, laundry, second kitchen, large den, walk-in closet and huge lower level patio. Wonderful entertainment areas! Paved drive, mountain views, back yard BBQ, covered, detached two car carport. Serene surroundings.